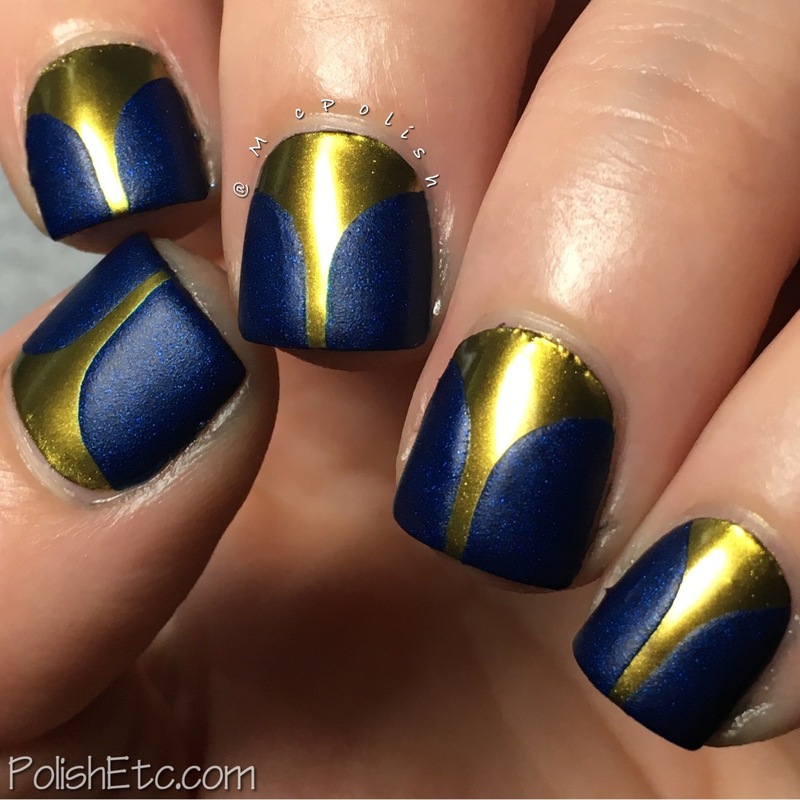 Metallic Nails for the #31DC2017Weekly - Polish Etc. I finally got chrome powders to work well for me! 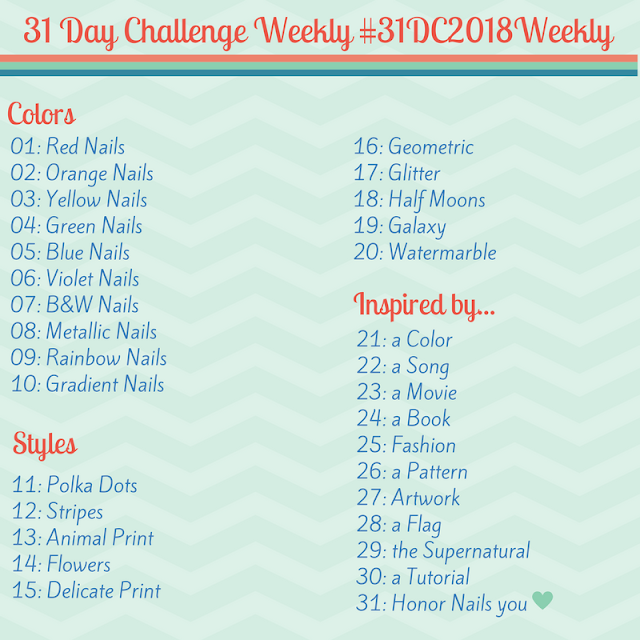 They are the perfect nail art item to use for the metallic prompt of the challenge. I tried using the chrome powders before but I didn't have the right top coat for the job. You can see my fails here. 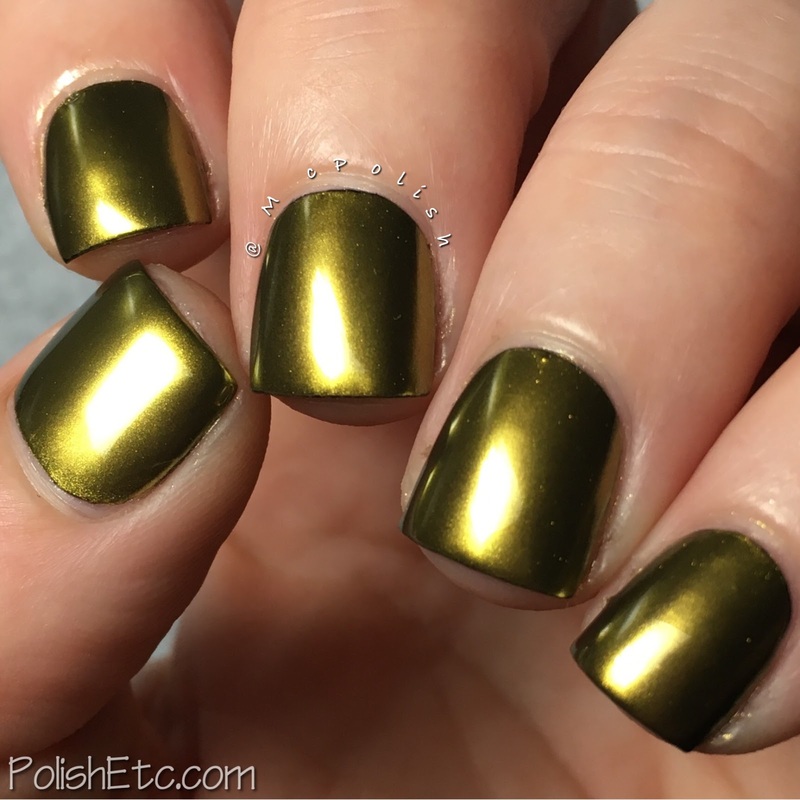 This time, I used some gold chrome powder and gel top coat from Born Pretty Store. The key to my success this time around was using the powder over a gel layer and then topping it off with a no-rub gel layer. It turned out great. I started out with a peel off base coat (which did start to peel at the edges by the end of my manicure adventures) and a coat of black regular nail polish. Then I sealed it in with a coat of the Born Pretty Store Soak Off Gel top coat and cured it under an LED lamp. Then I rubbed on a thin coat of the born Pretty Store yellow gold chrome powder with the supplied eye shadow applicator sponge. Then I applied another coat of gel top coat and cured. It turned out shiny and smooth just how I wanted it to! 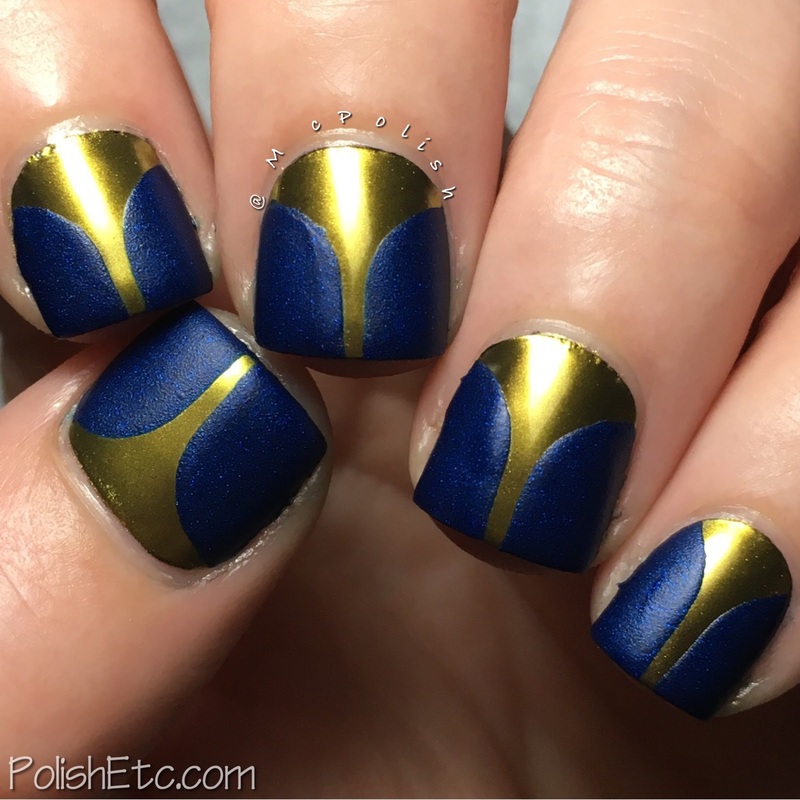 Next, I added some Stiletto Stencil vinyls from Whats Up Nails and two coats of Zoya's "Yves". 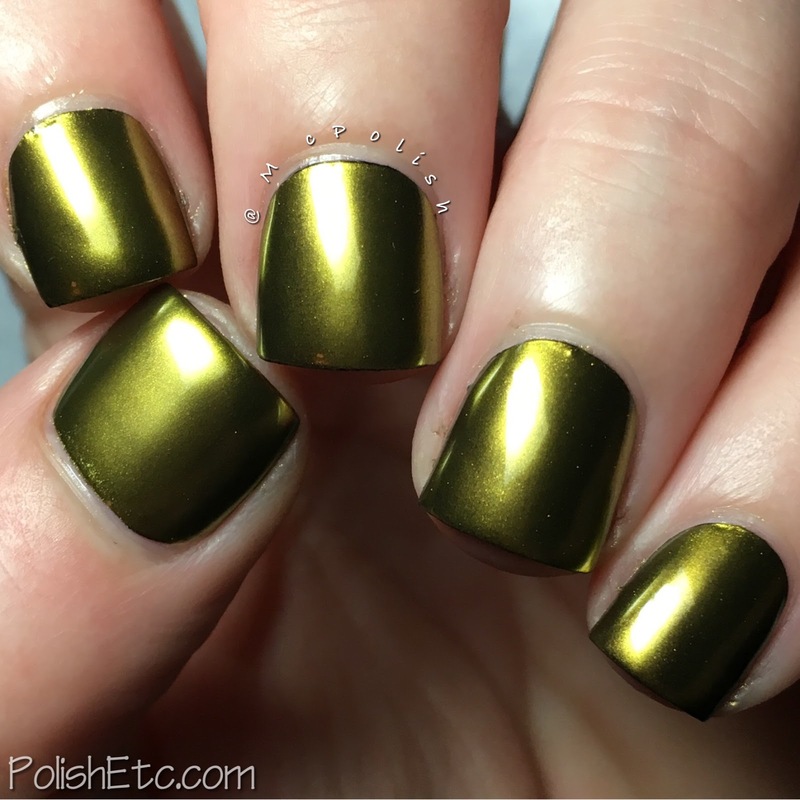 I just love the juxtaposition of shiny metallic and suede matte! I have been wanting to do this look for a while now and then I saw Marie Pruitt on IG do it this week and it completely inspired me to give it a go. 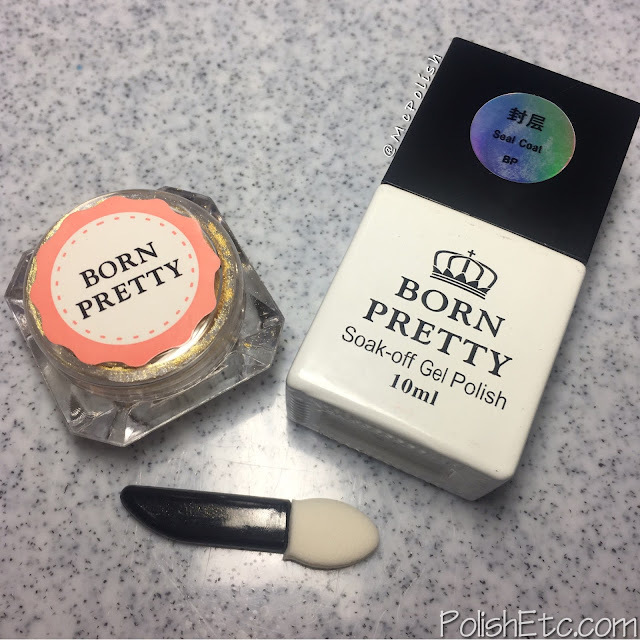 Born Pretty Store has a kit that include the small pot of chrome powder and a small bottle of gel top coat for $4.99. That is a steal! You can chose from gold or silver or both. Use my code AVAW10 to get 10% off of your order. There are tons of other nail art items to chose from, so stock up that shopping cart. Yay - that's metallic for sure :) And so much better than mine! I am glad I got this to work. I will use them again for sure.